While most rental property owners dream about having multiple applicants lined up for a vacancy, in reality, it can be difficult to face the inevitable consequence: rejecting the lesser-qualified applicants. Not only is that process unpleasant, but if it is not handled appropriately, rejecting an applicant can lead to income loss. Do review your local laws regarding discrimination. While the Fair Housing Act defines discrimination, some cities and states have added requirements. For instance, some local laws protect tenants based on source of income, so rejecting a prospect based on lack of employment may be illegal. Do review the rental application first, before running tenant screening reports, to eliminate any applicant who is obviously unqualified. Do send an adverse action letter in the event the applicant was rejected after running a tenant background check. 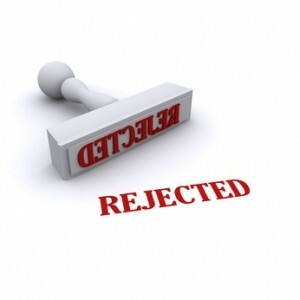 For more on that, see our post, When Am I Required to Send an Applicant a Rejection Letter? Do keep documentation on applicants in the event of a claim of discrimination. Don’t base your decision to reject an applicant on subjective standards, like personal characteristics that conflict with your vision of the ideal renter. Don’t entertain stereotypes on how you believe the tenant might behave. Use objective criteria, like an aggressive personality, chronic complaining, or an unwillingness to provide information needed for a tenant background check. Don’t make promises or indicate where a specific applicant might stand compared to others who have applied. Don’t make up stories or excuses about the availability of the rental, like claiming it was just rented or that you decided to take it off the market, if that is not true. Don’t go off script when interviewing rental applicants. Ask the same questions of everyone. If the question seems odd to ask of certain applicants, then it likely is an improper question.